After working with a free medical care clinic in Chicago, Illinois, Dr. Adam Lalonde discovered the rewarding excitement of dentistry. He received his undergraduate degree from the University of Notre Dame and earned his DDS from the University of Detroit-Mercy Dental School in Michigan. In 2004, Dr. Lalonde married his high school sweetheart Cara, who had been his next-door neighbor since the third grade! The appeal of settling down in a warmer climate, coupled with the community and irresistible atmosphere of the Valley, convinced them to say goodbye to Midwestern winters and hello to Christmas on the beach in South Texas. 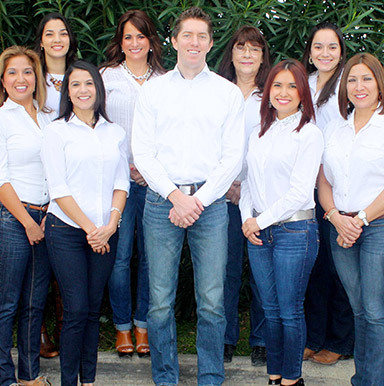 Dr. Lalonde purchased his practice in 2006 and has enjoyed becoming a part of the Los Fresnos community ever since. Dr. Lalonde enjoys building patient relationships and delivering results that will leave patients smiling. With more than a hundred hours of continuing education credits just last year, he’s continually motivated to enhance his skills. 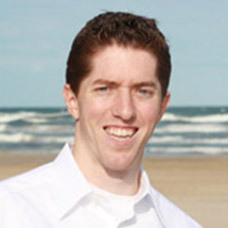 He also maintains professional memberships in the American Dental Association(ADA), the Texas Dental Association(TXDA), the Rio Grande Valley Dental Association, and the American Orthodontic Society. Dr. Lalonde also serves on the Board of Directors for Dentists Who Care and plays a big role in the leadership of the organization and its future direction. Dr. Lalonde stays active with his three kids: Ava, Ayden, and Beckett. On any typical day, you’ll find the Lalonde family on a soccer field or at one of Ava’s play rehearsals. You may recognize the kids from their pictures displayed around the office— Dr. Lalonde enjoys showing off what he believes are the world’s cutest kids. Besides spending time with his family, Dr. Lalonde is passionate about Notre Dame Football and vows they will never again suffer through another 3-9 season. Every fall, he pilgrimages back to South Bend, IN to attend a game or two. Dr. Grayson Sellers, a Valley native, began his career in dentistry over 35 years ago. Dr. Sellers completed a four year commitment working for the Texas Department of Health in a state mobile dental unit in 54 counties where there were no dentists to serve the sparsely populated areas. 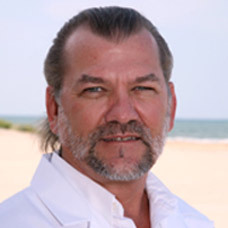 Since establishing his first private practice in Harlingen in 1977, Dr. Sellers has become a motivator and a recognized leader in the Valley's growing dental professional community. Dr. Sellers loves his profession and prefers that dentists manage their own practices rather than the government. The commitment of the 200 dentists of the Rio Grande Valley District Dental Society (RGVDDS) to provide charity dental care within the framework of their own practices along with the support of Dentists Who Care (DWC), minimizes the need for big government programs. Dr. Sellers currently serves as a director for Dentists Who Care. The RGVDDS insists on high quality and patient satisfaction from all members. Dr. Sellers currently serves as Chairman of both the Peer Review and Judiciary Committee of the society. Established the Annual Dentists Who Care Charity Dental Conference which has been held on South Padre Island for 21 years. Sometimes patients see their health care provider in a single dimension. Many in the dental profession say that Dr. Sellers' true talent is his understanding of the needs of children of limited means, what the Government can and cannot do, and the ability to organize and implement a plan of action. Dr. Sellers' greatest success is based on his simple professional philosophy: "Work hard, get successful, and start giving it back to your community." "The secret to a happy and energetic day at the office is the fun, outgoing and beautiful team I work with who make the work day enjoyable." -Dr. Sellers. Dr. Sellers has a degree from Texas A&M University and proudly enjoys talking about his four kids who are all Aggies as well. Gig ‘Em Aggies! His hobbies include playing tennis, walking on the beach, and deep sea fishing. In fact, he and Dr. Adam Lalonde often enjoy fishing together.